4-Days Masterclass and Workshops for All Levels – Earlybird before 30 Sep. The Masterclass is the first segment of the RYS-300-Hours Deep Flow Yoga Teacher Training. Joan Hyman is lead teacher of INNERCITYOGA’s RYS-200 Hours Deep Flow and one of the main teachers in the RYS-300 Deep Flow Yoga Teacher Training. Joan’s grounded teaching style seamlessly supports her students as they emerge from their practice with the rich andbright energy that yoga has to offer. Joan’s teachings come from an organic and intuitive place, as she draws upon the combination studies of Ashtanga and Iyengar yoga as well as ayurveda, and meditation. Joan’s love and devotion show up in her practice and through her teachings. With over twenty years of experience leading retreats, trainings, and workshops worldwide Joan’s openhearted approach to teaching yoga keeps both her inner spirit and her students continuously evolving. Thanks to the flexibility of our necks, it is common for deep tension to be stored there and in the shoulders. The neck and shoulder area is usually the first part of our bodies to lock up when we are stressed. The goal is to protect our vulnerability. Luckily, there are certain postures that help release tension around the neck and shoulders. When done correctly and with awareness, these postures can unlock deep tension and bring balance to the entire body. We will explore twisting postures to release tension around your neck and shoulders and end with a supported shoulderstand to help find balance in this vunerable area. This will be a workshop style practice working with props and including a flow-based practcie. All levels welcome! The Inner and outer thighs are a gateway to our pelvic floor and deep core stability. We will discuss how to use our legs and our feet to gain the awareness of activating the pelvic floor muscles. These are deep and intricate muscles that help us resist gravity and can leave us feeling light and buoyant. We will break down standing postures that activate our pelvic floor muscles and play with balancing postures to deepen our awareness of our center. We’ll conclude our practice with an entrance into lotus and a seated meditation. Learn how to break down advanced backbends and experience the heighten benefits of these amazing postures. Practicing more advanced postures can teach us to be more disciplined and leave us feeling stronger and more alert. In this workshop, we will explore techniques to help different body types access these heart opening poses and variations to help you breathe with ease and experience contentment in these deep poses. We will explore inversions and fun variations of backbends in a safe and grounded way making them accessible to all! This masterclass is a module of the certified RYS-300 Hours Deep Flow Yoga Teacher Training. It is open to graduates of a RYS-200 yoga teacher training, but also for regular students of yoga of seek to deepen their yogic experience and strengthen your personal yoga practice. “Regular yogis” are asked to kindly respect the teacher student exchange in the masterclass study. Learn to define advanced practitioner and how to make advanced postures accessible. We will break down elements of challenging postures and learn to make them accessible. What creates advancement in your practice? We will explore the subtler aspects of yoga like pranayama and meditation and apply them to long deep asana practices. Our practice helps us to access the subtler layers helping us build vitality from within. Clearing our channels through yoga leads to an inner glow and radiance for life! Learn how to embody the practices of yoga and take it into your every day lives. A pranayama and meditation practice is key for developing awareness of the higher limbs. The practice is also essential for expanding awareness and insight on and off the mat. We will dive deep into pranayama practices, followed by meditation. We’ll learn the tools it takes to create a consistent and sustainable self-practice. Ayurveda is the sister science of yoga, teaching us how to live our lives in harmony with nature. We teach yoga and Ayurveda together to enhance the benefits of our practice, ultimately leading to longevity. As yogis, we learn how to manage our energy and we learn that the food we eat will affect our practice and our well-being. Understand how to integrate this sister science into your daily routine to bring more harmony and balance into your life. Understanding self-care and how to create a self-practice. As healers, we are constantly offering our energy outwards. To stay grounded, it’s a good idea to keep one eye on our clients and, most importantly, the other eye within. The key is a regular self-care practice. In this workshop, we will discuss the idea of self-care and how to regularly incorporate it into your life. With a good self-care practice, you’re better equipped to build a sustainable career and live in abundance. Understanding injuries is a crucial part of being a yoga teacher these days. Most people that come to yoga usually have some type of injury they are working with. We will review common injuries and the anatomy involved with those injuries to help to build a healthy sequence that strengthens surrounding muscle groups around the injured area. Learn important questions and techniques to ask your students to help them approach their injuries with more awareness and mindfulness. Masterclass + All Workshops 11-14 Oct.
All 3 Workshops 12, 13, 14 Oct.
Or opt for the full 4 days masterclass for a full immersion with Joan Hyman. That is what we will do and what we also recommend to anyone serious about yoga. The masterclass is one segment of the RYS-300 hours Deep Flow Yoga Teacher Training. The masterclass will be attended by trainees who did graduate from the foundational RYS-200 Hours training. But we keep it open to students of yoga of all levels who are interested in expanding their knowledge. If you do not take part in the RYS-300 program, we kindly ask you to take this stuy seriously and attend all segments. You will learn a lot! A: You bet! We usually have a waiting list before the event. But no worries, while we are numerous, the atmosphere during the workshop is just incredible! 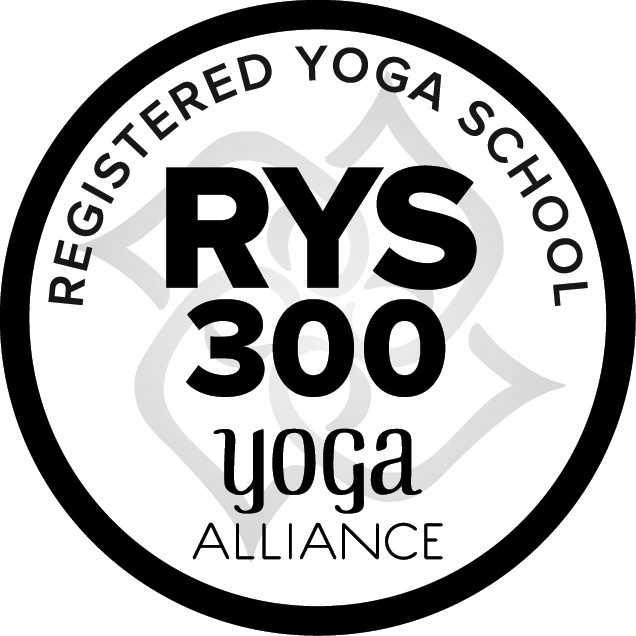 A: If you are registered for the RYS-300 hours Deep Flow Yoga Teacher Training, hours of these workshop classes are counted towards the practical part. Q: Can I book a private with Joan? A: Wee need to look into Joan's availability. Simply contact us and we'll see what we can arrange.